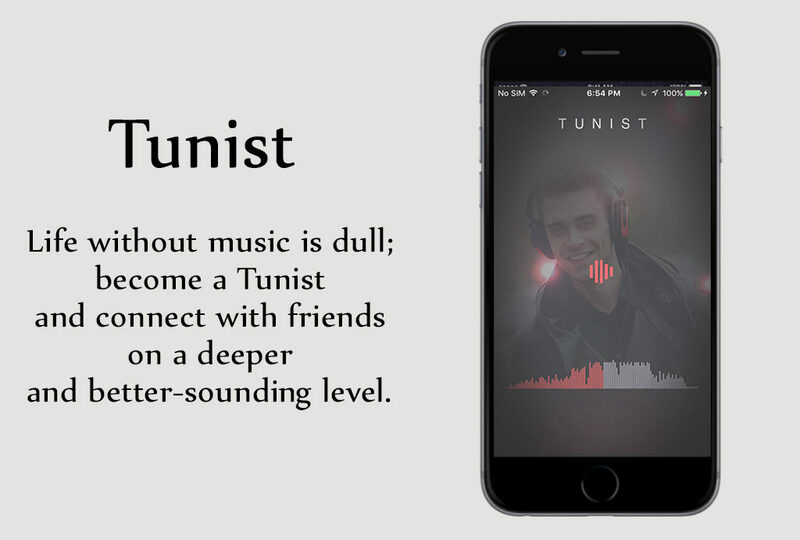 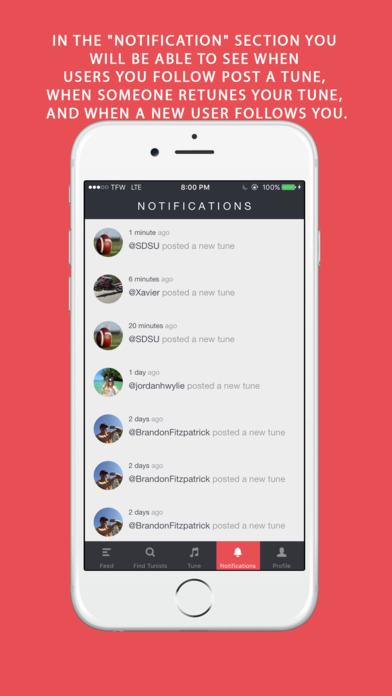 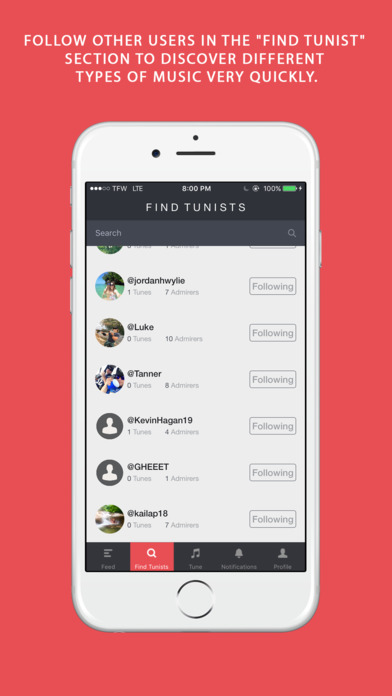 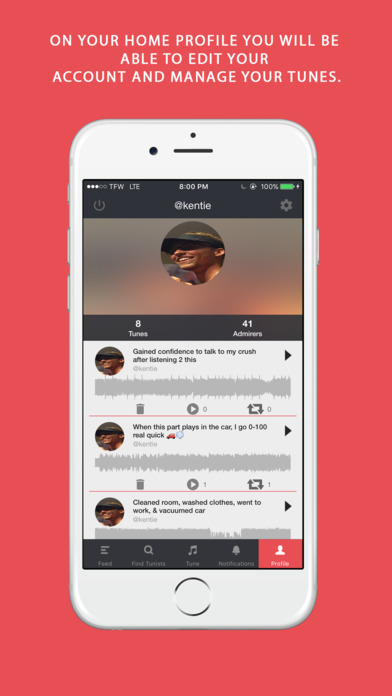 Tunist is a free app that allows you to share and discover music in increments of 13 seconds or less. 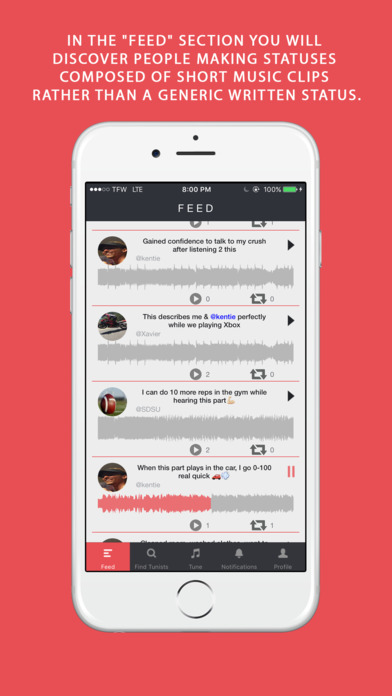 Listen to your friends’ clips on your “Feed” where they can express themselves, or contribute to music discovery, with a clip of music followed by a short caption. 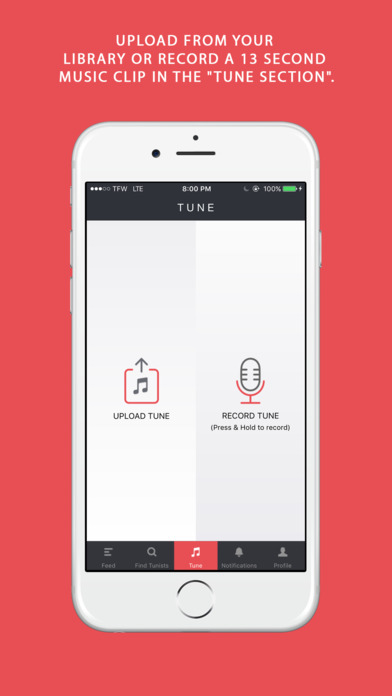 Create your music clip with the simplicity of uploading a song from your phone or record the music in real time to share with your admirers.